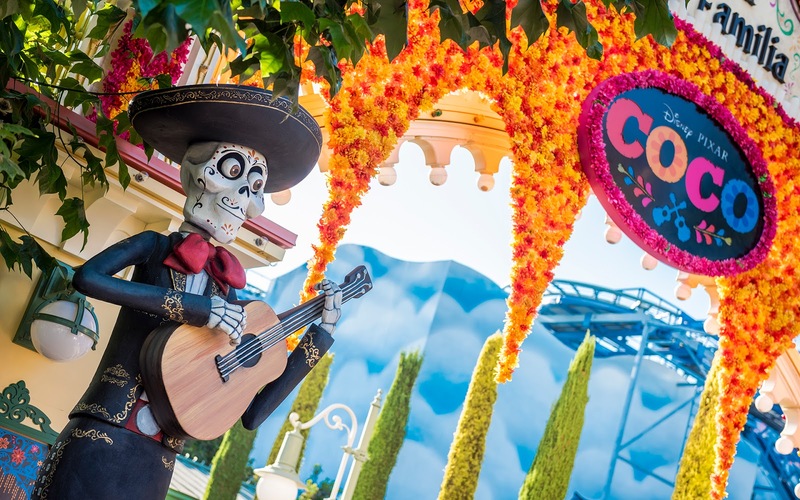 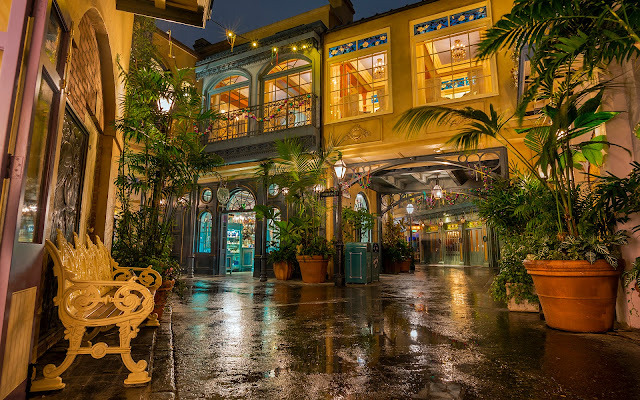 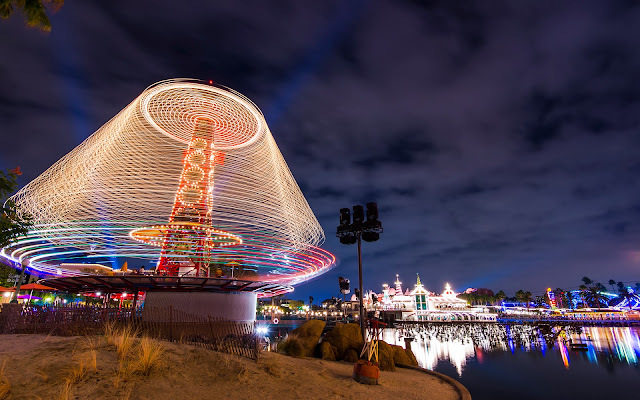 In a return from last year, Disney California Adventure's Paradise Pier Park is featuring "A Musical Celebration of Coco" during Halloween Time this year. This short song and dance show takes place right on the street next to the Boardwalk restaurants, across from Goofy's Sky School. 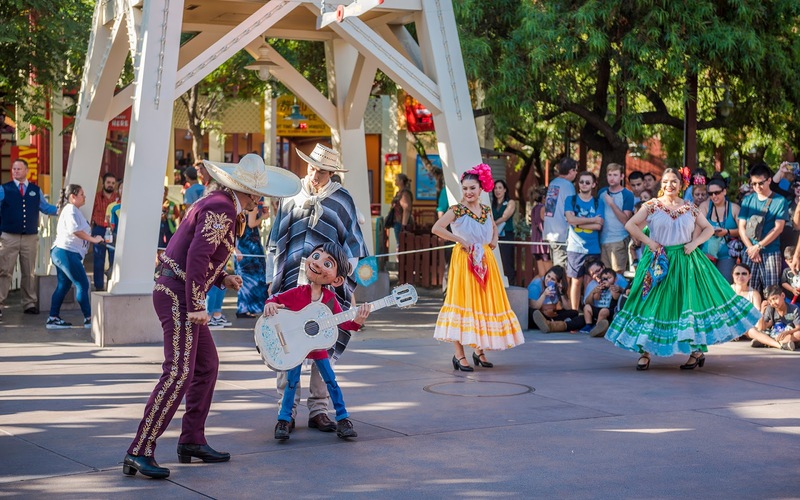 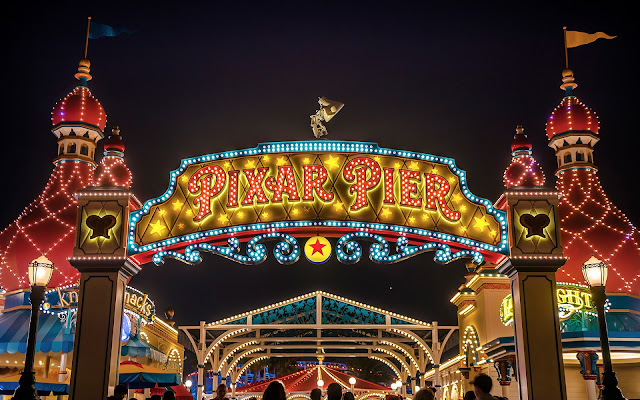 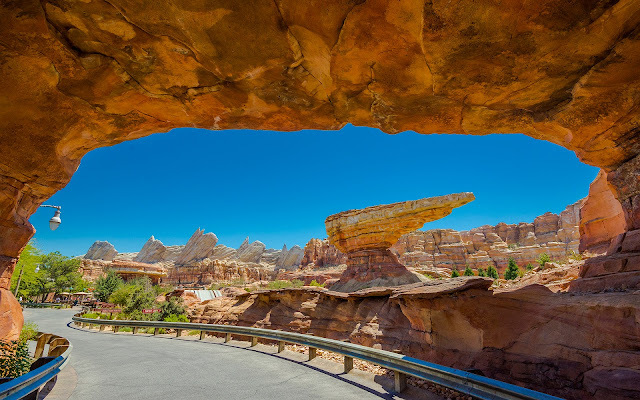 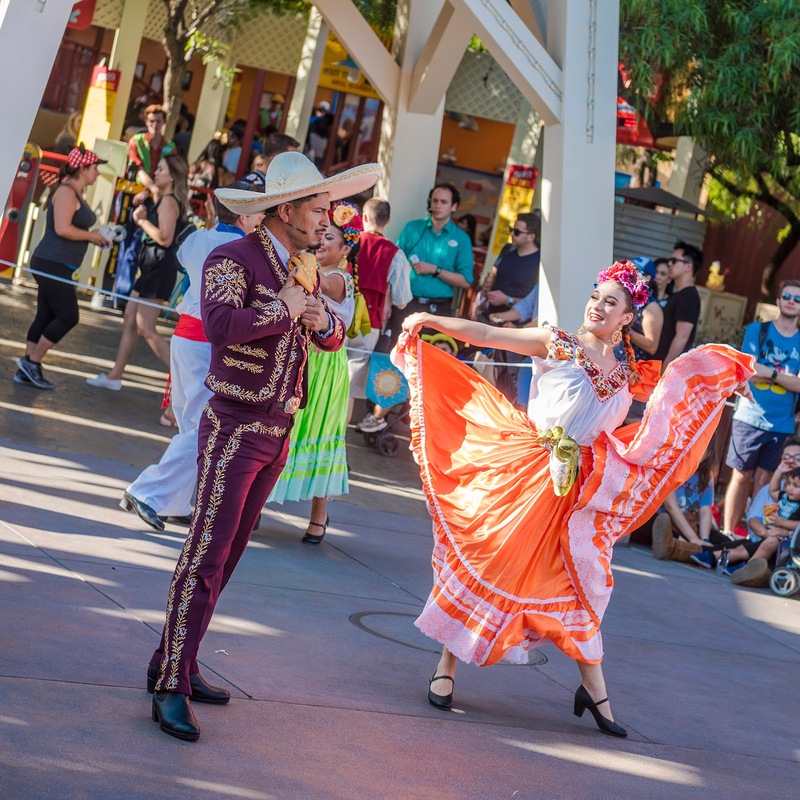 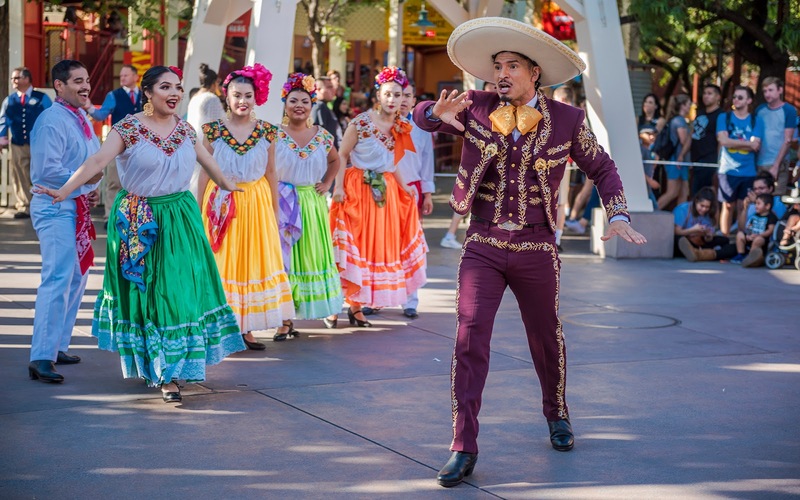 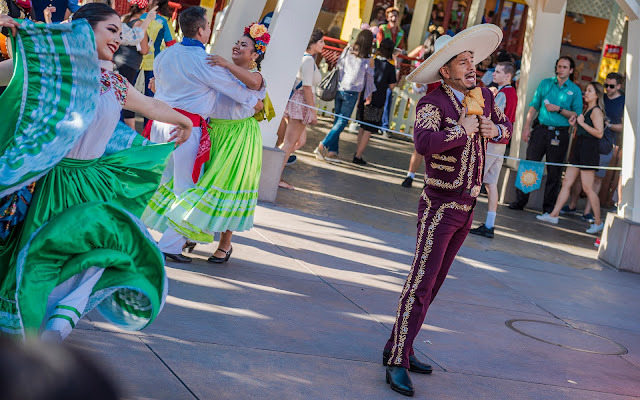 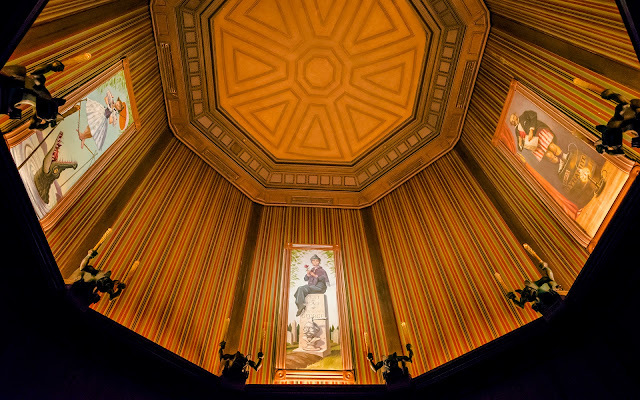 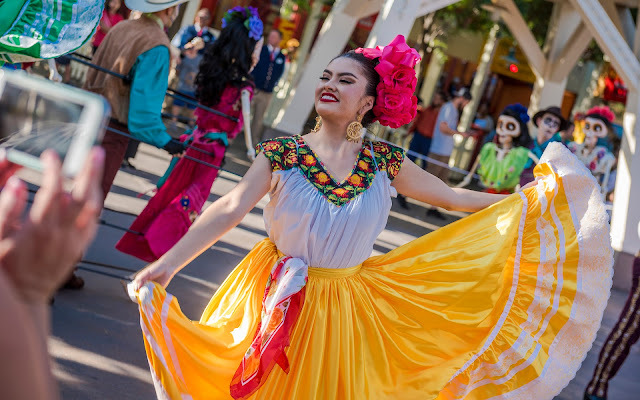 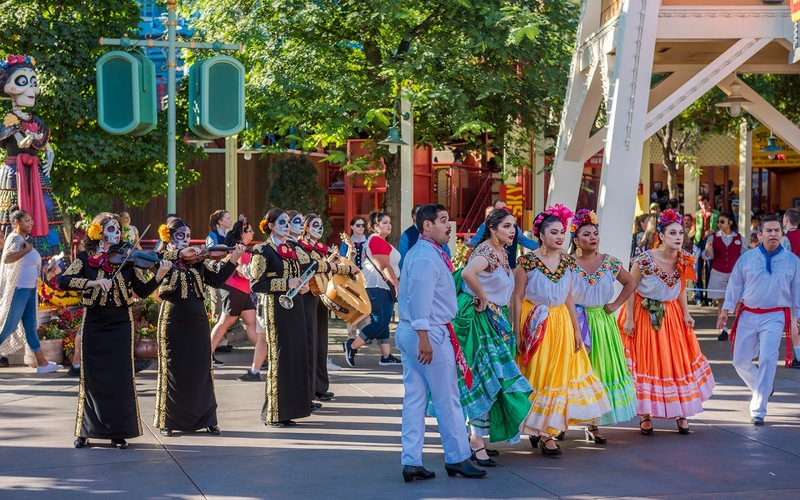 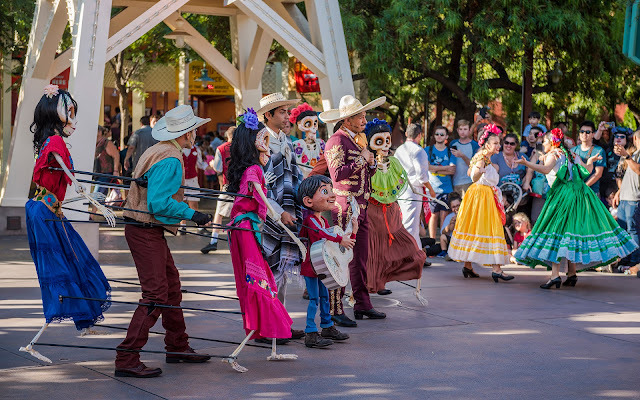 Summarizing the plot of the movie (so spoilers), it features mariachi musicians, folkórico dancers, and puppetry, for a fun and energetic retelling of the hit Pixar film. 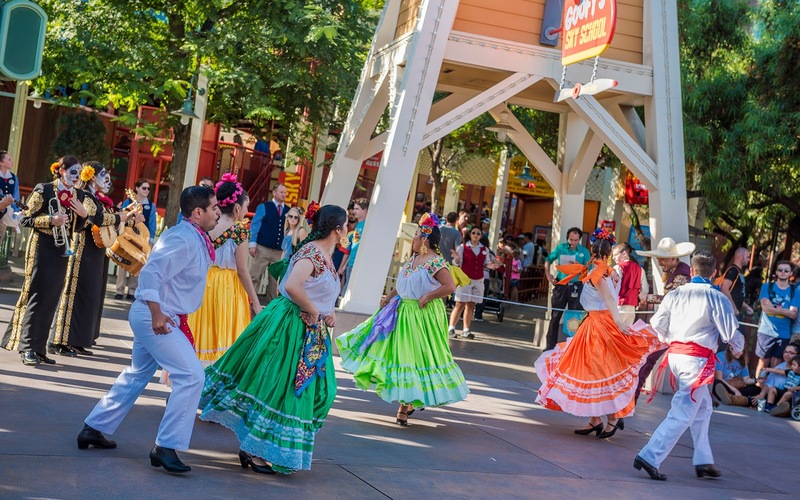 Catch it several times a day now through the end of the month. It's full of charm and whimsy, and it will totally bring back the warm vibes of the film, and the family spirit of Día de los Muertos!